François “Papa Doc” Duvalier’s hold on power in Haiti, initially tenuous, grew stronger as American confrontations with Cuba under President Kennedy fostered a fear that Communism could sweep Haiti if “Papa Doc” were ousted. Nonetheless, several groups of daring rebels took on the formidable task of overthrowing the dictator. 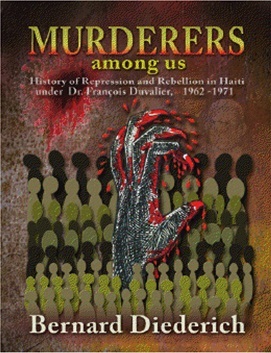 The mini-revolutions had little chance of success, but one thing was guaranteed: brutal retribution if the rebels were caught by the Duvalier regime and its militia, the Tontons Macoutes. For the first time, journalist Bernard Diederich reveals the names and personal stories of these rebels, adding color and detail to the tangled storyline of the Duvalier years. This volume continues the chilling history begun in The Price of Blood, which chronicles the years 1957–1961. Bernard Diederich covered Mexico, Central America, and the Caribbean as a correspondent for Time magazine. He is the author of 1959: The Year that Inflamed the Caribbean, Trujillo: The Death of the Dictator, Somoza and the Legacy of U.S. Involvement in Central America, and Papa Doc and the Tontons Macoutes (all available from Markus Wiener).